Long wearing lipstick with luminous satin finish. Enriched with LIPSoft Moisture Complex for feather-light texture and comfort. Stay-true colour lasts up to 10 hours. I love the sleek packaging of this lipstick. 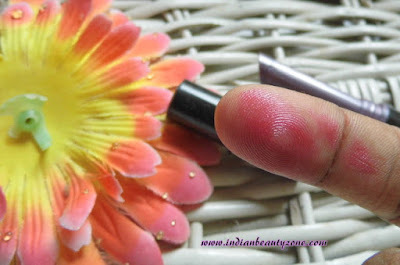 I wish every lipstick bullet should come like this kind of shape which is easier to apply. 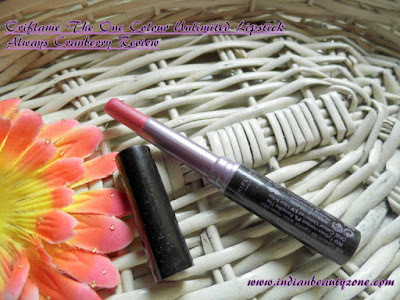 It comes in a sleek long black lipstick package and it is travel friendly. The shade is something different which is pink is for sure and at the same time it has slight red hues which visible during night time. 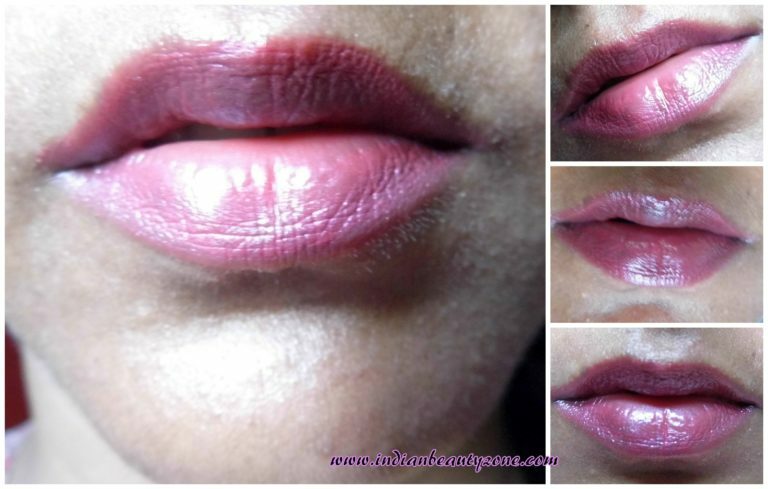 It has subtle shimmers in it and thus makes the shade shiny on lips. The shade perfectly suitable for all Indian skin tone. 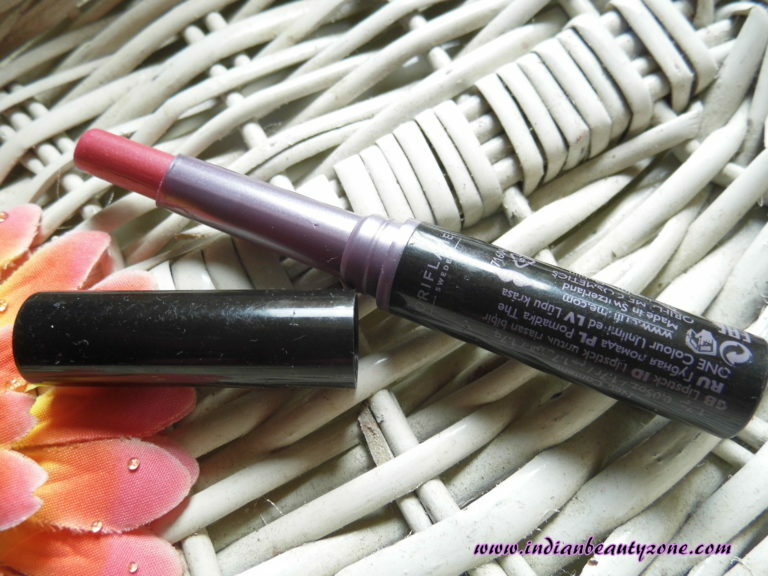 It is a daily wearable shade and go well with any outfit. It has really creamy and smooth texture which is easily glides on the lips without tugging your lips. It doesn't settle on the fine lines of lips. I am wearing this shade often and I am feeling comfortable with this pink lipstick. This shade is neither bright nor light. It gives the right pigmentation for your lips. The shimmers in this lipsticks will not annoy you as they are very subtle and beautiful. The lipstick keeps the lips hydrated well. It stays more than 4 hours with light snacks. If you go for a lunch date you need to reapply it. The lipstick pigmentation is awesome and within a swipe you will get a beautiful pink lips. You can wear it for your office on daily basis as it gives a pretty casual look. 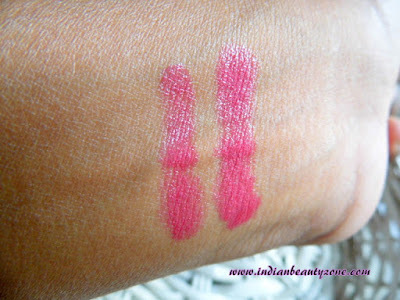 Overall it is a best pink lipstick that got added in my stash. Comfortable and travel friendly packaging. The texture of thelipstick is very smooth. 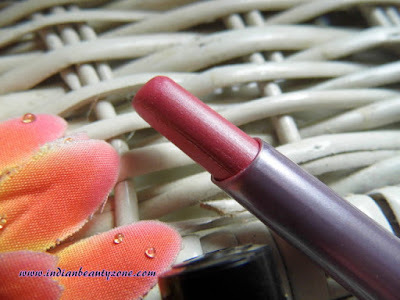 The lipstick hydrates the lips well. It has beautiful subtle shimmers. Gives shiny but matte finish at the same time. Beautiful pink shade that is suitable for all skin tones. Oriflame The One Colour Unlimited Lipstick Always Cranberry is a pretty pink shade lipstick which suits for all Indian skin tone. You can use as a daily wear lipstick. This shade is opt for office going women.